Riparian areas and wetlands are the links between land and water. They are among the most biologically diverse ecosystems on earth and are thought of as "ribbons of life," networking across various landscapes and biotic communities. Within Arizona, local communities are finding ways to protect these diverse environments not only through sustainable management, but by offering educational opportunities that reminding us why respecting nature is key. So, come and celebrate American Wetlands Month by exploring one of these important pieces of natural landscapes located in Arizona. 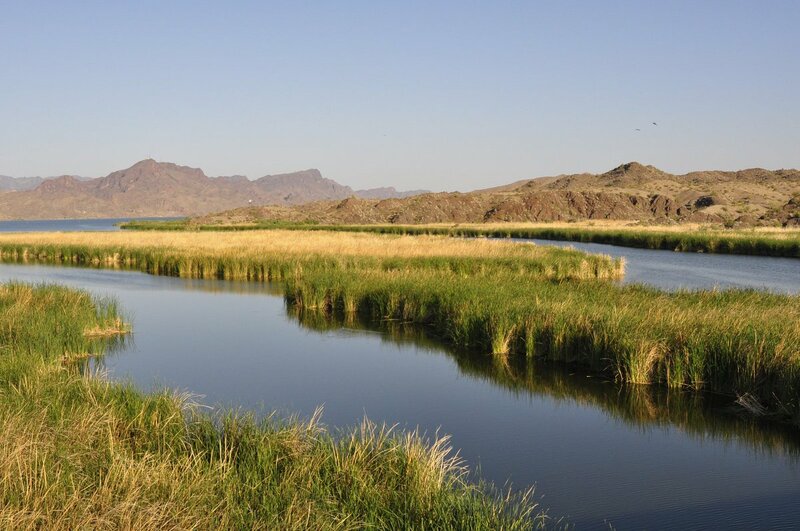 Home to more than 150 different species of birds and animals, the Tres Rios Wetlands involves the rehabilitation of nearly 700 acres in and around the Salt River. This lush landscape hosts beautiful cottonwood groves, willows, mesquites, and other desert shrub around the reed-lined ponds and along the trail attracting many migratory and wintering songbirds. By bringing the Salt River back to the condition it was in during the early 1800s, this project is repairing a natural habitat. The Riparian Preserve at Water Ranch is a 110 acre wetland, that hosts approximately 298 species of birds in addition to many insects, fish, amphibians, reptiles, and mammals. The Preserve is organized into various vegetative zones ranging from marshlands to native riparian and upland vegetation areas. Additionally, over 4.5 miles of trails weave through the park, and there are interpretive education panels on wildlife and vegetation throughout. 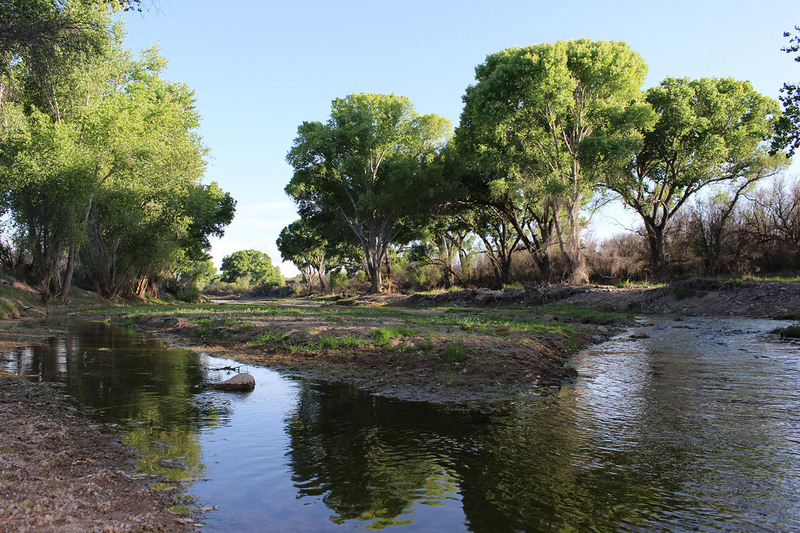 The San Pedro riparian area, contains about 40 miles of the upper San Pedro River and was designated by Congress as a National Conservation Area (NCA) on November 18, 1988. The San Pedro River basin is home to 84 species of mammals, 14 species of fish, and 41 species of reptiles and amphibians. Species such as the jaguar and black bear stalk the region’s forested mountains while the Mexican gray wolf and black-tailed prairie dog reside in the expansive grasslands. Situated in central-western Arizona along the Lower Colorado River, the Bill Williams River extends a short 40 miles before emptying into the Colorado River at Lake Havasu. A portion of the river and its unique habitat are protected within the Bill Williams River National Wildlife Refuge and offers a glimpse into what this landscape looked like hundreds of years ago. Today, the refuge holds one of the last stands of naturally regenerated cottonwood-willow forest along the lower Colorado River. This unique ecosystem provides excellent habitat for many resident and migratory wildlife, including 355 species of birds, 34 documented reptiles, 40 species of butterflies and 57 species of mammals and 7 amphibians. 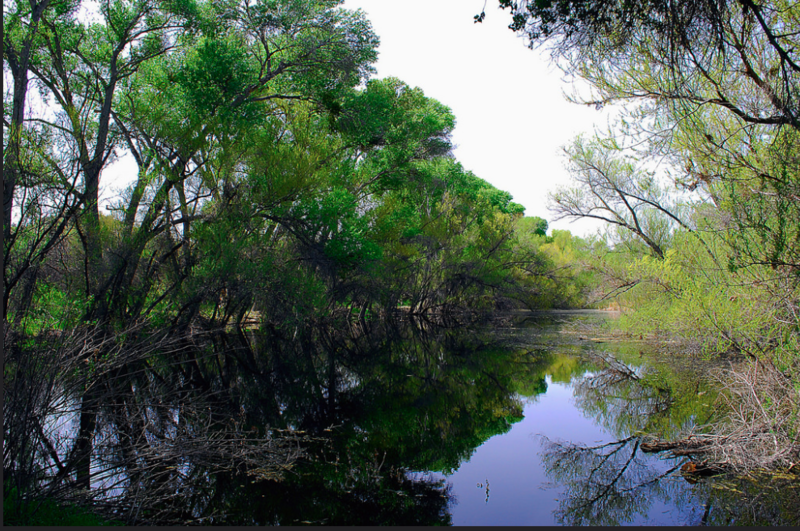 The Hassayampa River Preserve (Preserve) is a 789 acre property located south of the Town of Wickenburg, owned and managed by The Nature Conservancy (TNC) since 1989. The Preserve will become a key component of the Vulture Mountains Cooperative Recreation Management Area (CRMA), a 71,000 acre area, which already enjoys an extensive network of trails. As many as 280 species of birds nest within or migrate through this preserve on the Hassayampa River. Perched atop the massive trees are some of Arizona's rarest raptors, like the zone-tailed hawk, black hawk and Harris hawk. 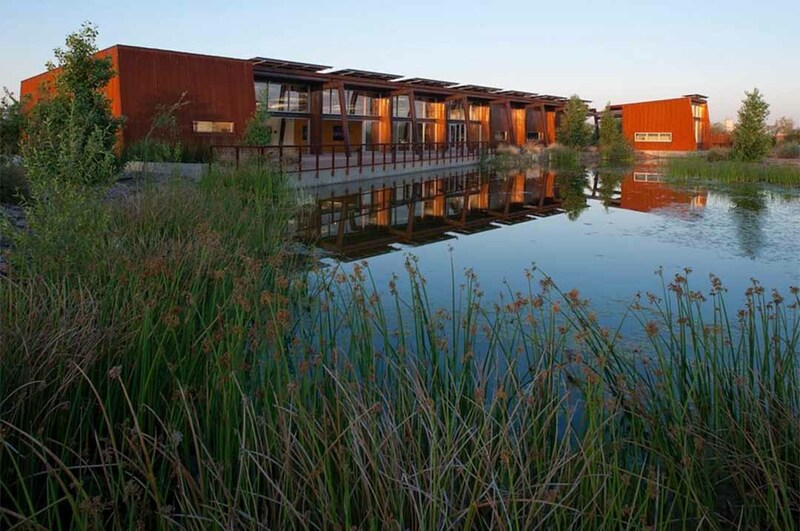 The LEED Platinum certified Nina Mason Pulliam Rio Salado Audubon Center is a nature center in the heart of Phoenix's Rio Salado Habitat Restoration Area--a 600 acre park space in the historic Salt River corridor. 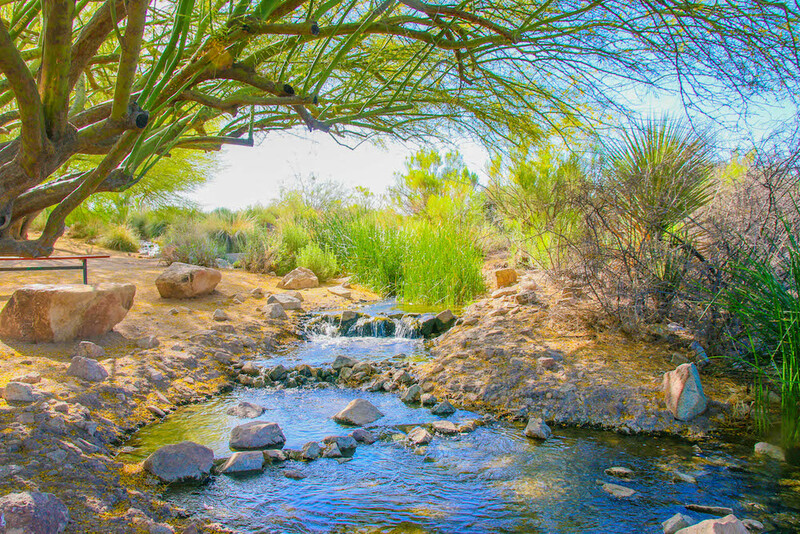 Located less than 2 miles from downtown Phoenix, the Center is a gateway to a lush Sonoran riparian habitat used by over 200 species of birds and other wildlife. The free admission Center offers interactive exhibits, an interpretive loop trail, connections to the Rio Salado Habitat's 16 miles of hiking and riding trails and a variety of programs, including family nature walks, wildlife encounters, birding classes and bird walks, school field trip programs and more. 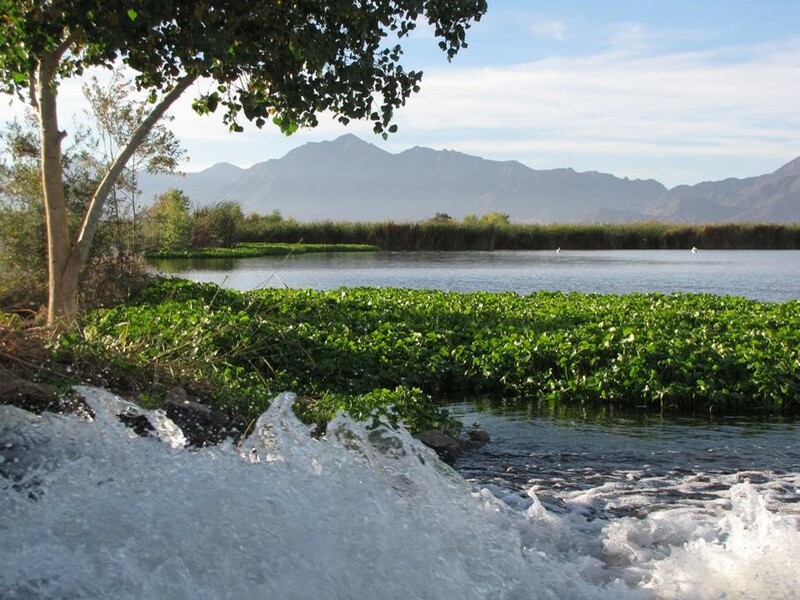 There's not doubt that Arizona’s riparian and wetland areas are a focal point of interest for many different users. They offer amazing places for the public not only to experience the great outdoors but an opportunity for biologically diverse ecosystems to flourish. Chase Down Leaks in Your Home during Fix a Leak Week!